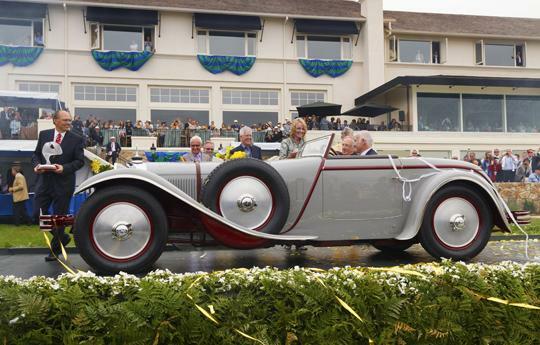 Monterey, California: Monterey Weekend, or simply "The Weekend" to all classic car fanatics, will be held this year on August 15, 16, 17, and 18, 2013 in the Monterey Bay area. The Weekend is full of classic car shows, collector car auctions and automotive events. Here is the Premier List of the best ones to attend this year. This year there are several collector car sales to choose from and each one sells to a different clientele. Here are four of the very best of the Monterey Weekend and you should try to attend all of them to experience and enjoy the auction excitement first hand. First up is my personal favorite collector car sale, celebrating their 13th anniversary at The Monterey Weekend, are Drew & Josephine Alcazar of the Russo and Steele auction company. They are hosting another exciting Sports & Muscle car auction at there new location in Downtown Monterey on the Waterfront. Thursday, Friday & Saturday August 15, 16 & 17, 2013 - Drew & Company will be going full throttle on the hottest nights of the car crazed weekend, and they start at 5 PM with a memorabilia and collectible auction. At 6 PM each night they will begin selling the best American muscle cars, sports cars, hot rods, Shelby’s and Cobra’s available this weekend in the entire Monterey Bay area.